Welcome to the Orobay Beagles website. I hope you enjoy visiting the site and learning about my beloved dogs. Featured above is Multi BIS/Rup BIS/Philippine HOF & Aust. Ch. Orobay Back to Reality at his first show in the Philippines.Please visit the Tribute to Mikey page to learn of his achievements. 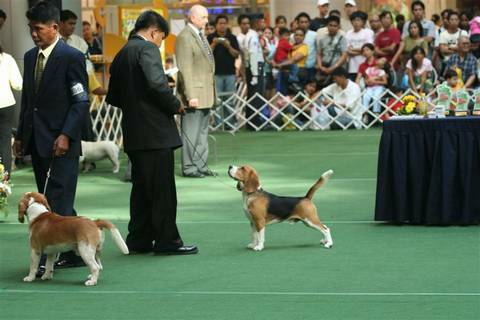 Mikey has broken all records in the Philippines now amassing 112 All Breed Best in Shows and finishing as No. 1 in National Show Dog of the Year Competition for 3 years in a row. Mikey is now enjoying his retirement having nothing left to prove!